So you’ve had your marketing budget approved and your marketing strategy is now in place. What’s your next step? Should you start implementing your strategies and tactics? You still need to set up your business dashboard — in this case, a marketing dashboard — to ensure you’ll be measuring the right key performance indicators or KPIs. Tailor your marketing KPIs to your strategy. All businesses are different and have unique needs — particularly for marketing. A retail store will use entirely different strategies and tactics compared to a B2B service firm. So it’s important that you set your own marketing KPIs that support your marketing plans that will, in turn, help achieve your business goals. Sales revenue is ultimately the reason for all of your marketing efforts. And sales revenue should also be found on the executive dashboard and the sales team’s dashboard. As a marketing manager, you want to track how much impact your marketing efforts have on the sales revenue. Don’t lose sight of what’s important. At the end of the day, the CEO will be more concerned about the results of your marketing campaigns, which are measured through the revenue that comes in. KPI In Action: Monitor closely other marketing metrics that drive sales revenue. Those metrics vary depending on your campaigns. For example, if you invest in email marketing, you will have to track metrics such as open rates and click-through rates. Mapping your marketing activities against your sales revenue helps you see what’s working and what isn’t. And whenever you change your marketing tactics, you’ll use this to measure the impact on your bottom line. How many people purchase your products or avail of your services? An increasing trend in the customer count is good; however, a declining number in the number of customers is not necessarily negative. For example, if having fewer customers means that you’re swapping out low-spenders for more profitable customers, that’s good for the business. KPI In Action: Analyze customer count in relation to the sales revenue trend. Gaining fewer new customers that are profitable can be better than gaining more customers who are low-spenders. An increase in sales revenue could be due to several factors including upselling, recent price increase, increase in premium products sold, etc. In refining your marketing strategies, make sure you have a grasp of both the customer count and the sales revenue. Simply put, how much revenue are you generating over the course of your relationship with your customers? That’s their lifetime value. KISSmetrics suggests different ways to calculate your customer lifetime value or LTV and emphasizes that investing in acquiring “good” customers could be more costly, but they are more profitable in the long term. KPI In Action: Monitor the month-over-month LTV of your customers to quickly identify the factors that contribute to the increase or decrease in the LTV. The insights you’ll discover can help your marketing team adjust your campaign strategies and budget allocation. How much do you have to spend to get each new customer? If you’re spending $225 to get a $100 customer, that might be a problem in the long term. If your business has a long sales funnel, you might want to track this in more detail. You must know what it costs to get a lead, and then move that lead through each sales stage. How good are you at keeping your customers? Every time a customer leaves you for a competitor, you have to spend marketing dollars replacing them. So unless you sell once-in-a-lifetime products or services, you should track this. KPI In Action: Keep the customer attrition rate low and customer retention rate high. Tracking attrition rate on a weekly basis can help you identify issues and immediately rectify any problem, whether it pertains to customer services, technical issues or pricing concerns. How contented are your customers? Customer satisfaction is a critical marketing KPI, which is particularly helpful in reducing churn. Depending on your products or services, you can create your own measure for customer satisfaction. One common measure that many companies use is the Net Promoter Score or NPS. KPI In Action: Whichever measure you use to get feedback on your customers’ satisfaction level on your products or services, make sure to track them on a regular basis. But don’t just track them. Tackle common customer concerns and encourage everyone in the organization to be proactive in keeping your customers happy. To get customers, you need to go where they are and drive them to your landing pages or website. Reach can take many forms – visits to your website, footfall in your store, clicks in your email newsletter, etc. The critical thing is to understand what your specific strategy is for reaching new customers. Then track the right KPIs to check if your plan is working. Reach measures brand awareness. At times, tracking your brand’s reach in real time can be helpful especially when you’re running a brand awareness campaign. KPI In Action: Within your marketing team, assign sub-teams to be responsible for driving reach either by channel or by activity. If it’s by channel, for example, assign a specific team member to track website traffic, then another member to monitor email reach and another for social media reach. They are also responsible for driving the numbers on their respective metrics. When you initiate a conversation with potential customers, how many of them do actually respond? For most businesses today, marketing is about more than eyeballs. Blogs and social media allow businesses to have conversations with their customers and understand more about their needs. Again, the form that engagement KPIs take will be specific to your business and the channel. KPI In Action: Monitor engagement rate in real time, especially when you’re running a campaign. Look at net sentiment, as well, when analyzing social engagement. A high engagement rate with strongly negative sentiments is generally not good for the business. Each social media platform has its own algorithm that impacts engagement rate. You can set a target engagement rate or a benchmark based on industry standards or based on your own goals. How do you turn reach and engagement into customers? Some businesses focus only on website traffic or the number of followers on social media. But the point of those reach and engagement numbers is to generate leads that your sales team can turn into customers. Understanding the ratio of hits/clicks/opens to leads and customers helps you to weed out the least useful tactics. Marketing return on investment (MROI) is also called return on marketing investment (ROMI). However you call it in your organization, both refer to the amount that a company gets for spending their marketing dollars. You want your team to contribute to the company’s top-line growth, so it’s wise to monitor closely all key performance indicators that will pull sales revenue up and will generate an impressive MROI. Without a marketing dashboard, it will be hard for you to keep track of all the marketing activities, metrics and KPIs, especially in real time. Without a marketing dashboard that is accessible to your entire team, keeping track of who’s responsible for specific metrics and tactics could also be a challenge. With a powerful marketing dashboard, you are in control. A quick glance at your dashboard will help you see the big picture, identify problem areas and leverage opportunities that can boost your marketing performance. Mark Walmsley is an Accountant from Australia. 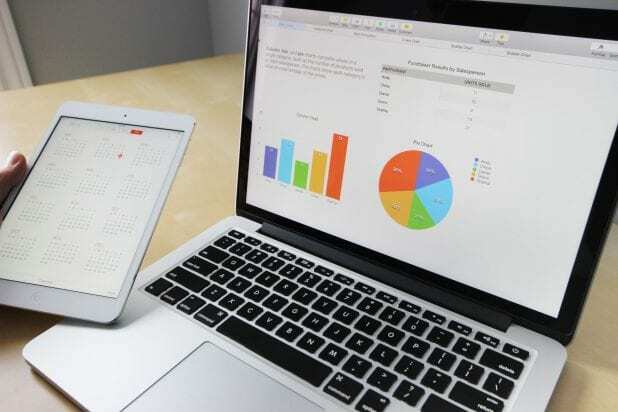 He also created a simple and easy-to-use business performance management tools that can help accountants, consultants, managers and businesses quickly identify problem trends and leverage opportunities namely Ezzykpi, Ezzyscorecard and Buy a business.